United States Blood Glucose Meter Market is likely to reach USD 650 Million by the year end of 2022. Market growth can be attributed to factors such as increasing number of diabetic patients, growing awareness towards diabetes mellitus, improved glucose control and flexible, user–friendly design, government efforts for better management of diabetes mellitus and technological advancement in blood glucose meter devices. The research report titled “United States Blood Glucose Meter Market Insights, Opportunity, Analysis, Growth Potential & Forecast 2017 – 2022” examines the market, competitive landscape and trends of the United States Blood Glucose Meter Market. The study provides an in–depth analysis of the type 1, type 2 and newly diagnosed type 1 diabetes and overall diabetes population. Moreover, it also provides an essential insight on insulin users. The report provides a decisive view on the Blood Glucose Meter Users and Market. It also covers reimbursement pattern and offers a clear view of the regulatory landscape in the United States Blood Glucose Meter Market. Key trends in terms of collaboration, partnership, distribution and licensing agreement are analyzed with details. The report also explores detailed description of growth drivers and inhibitors of the United States Blood Glucose Meter Market. The report concludes with the profiles of major players in the United States Blood Glucose Meter Market. 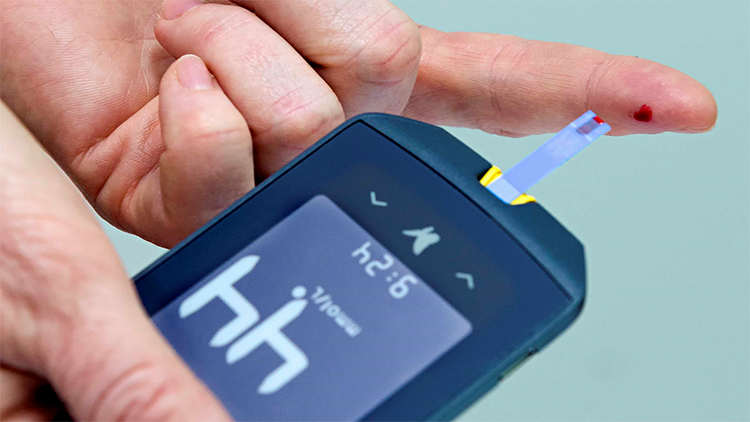 The key market players are evaluated on various parameters such as company overview, marketed products and latest development and trends of the Blood Glucose Meter Market.